A great opportunity to work for well-established Oriental Supermarket chain with 5 sites across North London. Operating a cash and carry for over four decades our client are looking at expanding their engineering team, looking to recruit a refrigeration/HVAC engineer for a minimum of 3 months. In this role you will be required to perform the service, maintenance and repair on a range of cooling and refrigeration product lines including; chillers, condensers, CRAC and Air conditioning units. A great opportunity to work for well-established Oriental Supermarket chain with 5 sites across North London. Operating a cash and carry for over four decades our client are looking at expanding their engineering team, looking to recruit a refrigeration/HVAC engineer on an initial 3month contract. In this role you will be required to perform the service, maintenance and repair on a range of cooling and refrigeration product lines including; chillers, condensers, CRAC and Air conditioning units. To be considered for this role you must be familiar with all aspect of the refrigeration system and its configuration, with it being preferable for this experience to relate work in commercial or industrial environments. The ideal candidate for this role will be HVAC/Refrigeration qualified with relevant experience. With the role being field based the willingness to travel is a must operating north of the River Thames but stretching from east to west London. 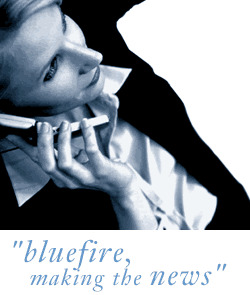 Bluefire Consulting is the employment agency acting on behalf of the current company.